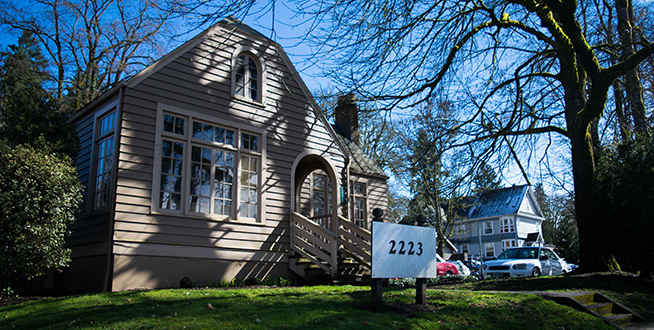 This converted house on the corner of Main Street and University Avenue now serves as office space for Pacific University faculty and staff. Currently, the Office of Institutional Research operates out of the building. 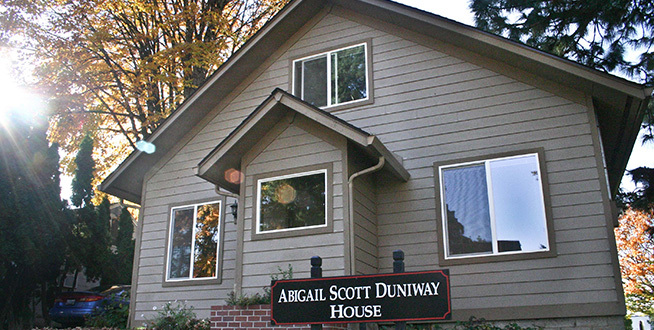 Abigail Scott Duniway House is home to Pacific University\'s English Department. Abigain Scott Duniway, the sister of Pacific\'s first graduate Harvey Scott, was a pioneer, journalist and suffragist who led the campaign for women\'s voting rights in the Northwest. The building previously was known as the University Club. 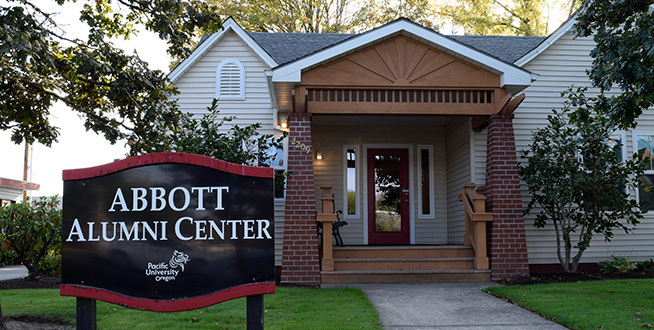 Pacific University alumni are welcomed home at the Abbott Alumni Center, named for Ambassador S.L. Abbott \'52, OD \'53 and his wife Arline. Make this your first stop for a tour of campus. Sit in the living room and pore over old yearbooks. Or even book a free three-night stay in one of the guest rooms while you visit campus. 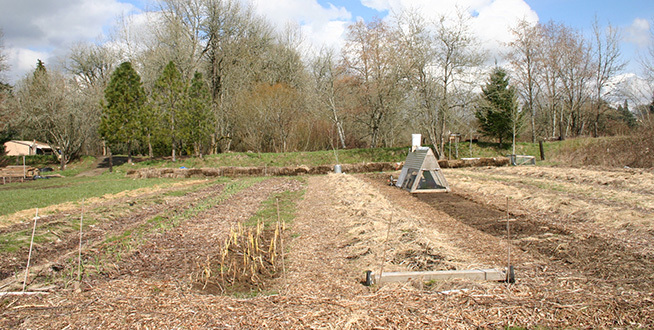 Less than a mile from the edge of campus, Pacific University\'s B Street Farm offers students and Forest Grove area residents a demonstration site to practice sustainable living. Students conduct research and engage in projects to grow community and spread sustainable practices at the site. Produce grown on-site is donated to local organizations, served in the dining hall on campus, and shared with community members as it is harvested. 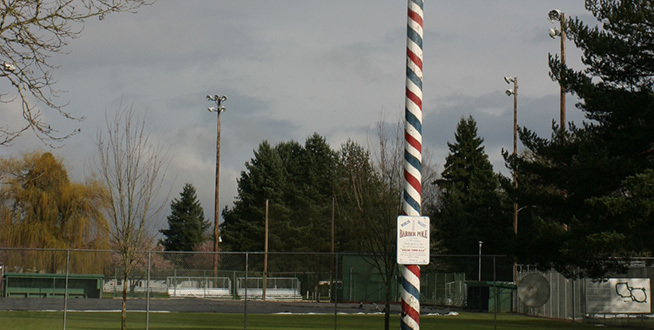 The World\'s Largest Barber Pole is 72 feet tall and commemorates Forest Grove\'s reputation as "Ballad Town U.S.A." The quirky roadside stop is located in Lincoln Park, adjacent to the Pacific University Forest Grove Campus. 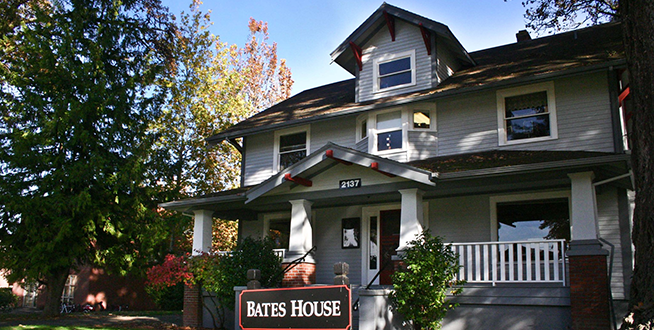 Bates House is home to the Pacific University Academic Advising Center, as well as staff and faculty offices. 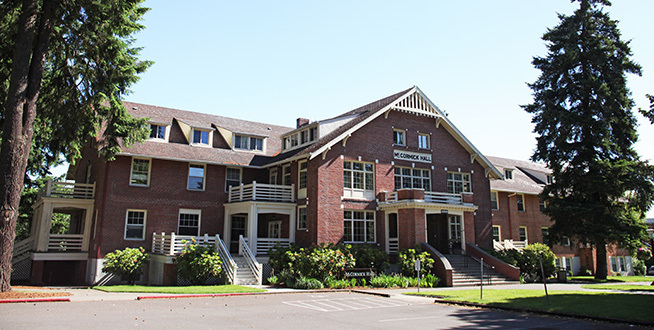 Built in 1923, the facility was originally a home for Pacific\'s presidents and later a residence hall for women honors students. It was named for Rev. Henry Liberty Bates, the former dean of faculty at Pacific and last principal of Tualatin Academy. 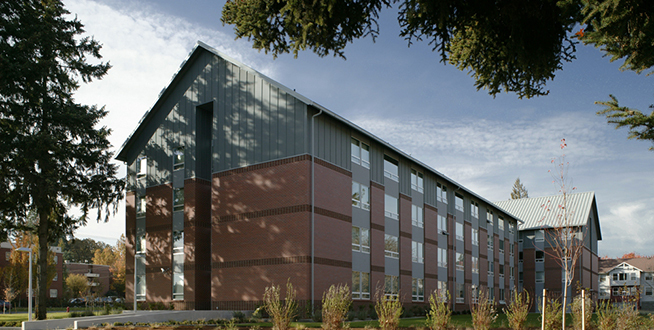 Opened in 2007, Berglund Hall is home to the College of Education and College of Business on Pacific University\'s Forest Grove Campus. The LEED-certified building features offices and high-tech classrooms, along with the College of Education\'s Early Learning Community, a demonstration school for preschool through early elementary children. The original Boxer, dubbed College Spirit, was an incense burner that Rev. Joseph Elkanah Walker, class of 1867, brought home from missionary work in China. Over several decades, it became an integral part of school spirit at Pacific and developed a storied history. Though the original statue was lost, this supersized replica was dedicated in 2006. 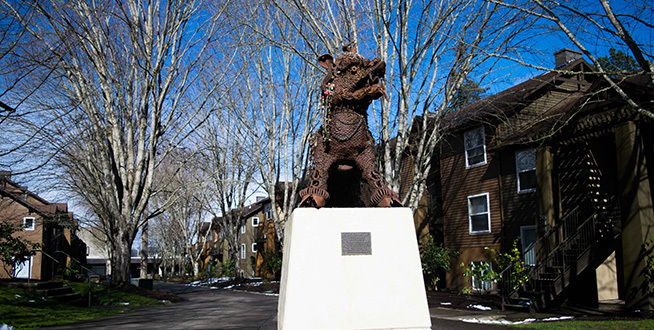 Created by a local artist using recycled metal, the 12-foot-tall statue is designed with its large head titled to keep an eye on the campus and all who visit. 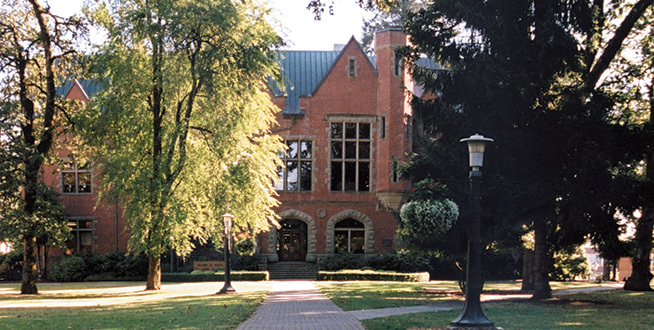 Named for Tabitha Brown, "Mother of Oregon" and one of Pacific\'s founders, Brown Hall is home to the Art Department at Pacific, though it was once the bookstore and student union. The core of the building was originally located at Camp Adair, and World War II infantry camp near Corvallis, Ore. It was one of two buildings moved from the decommissioned camp in 1947, placed on a new foundation, and refaced with brick siding in 1950. Built in 2007, Burlingham Hall is a residential building for students who are at least 19 or who have completed one year living on campus. The sustainable building features features four- and six-person apartments, as well as three- and four-person suites, along with a community kitchen, lounges and laundry facilities. The hall was named for Forest Grove\'s Burlingham family, longtime supporters of Pacific. 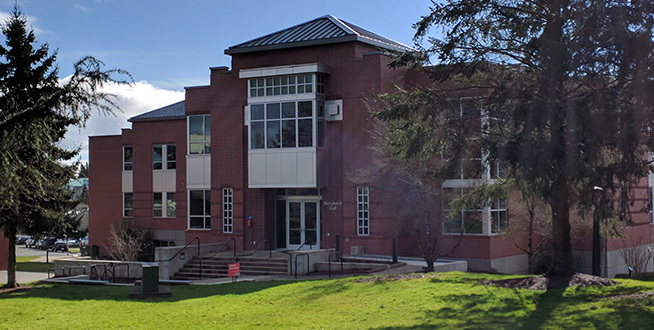 This building houses students that are 19 or older prior to the start of the Fall term or have fulfilled one year of the two-year residency requirement. Campus Public Safety officers are on-duty 24 hours a day on the Forest Grove Campus. For assistance, call 503-352-2230. 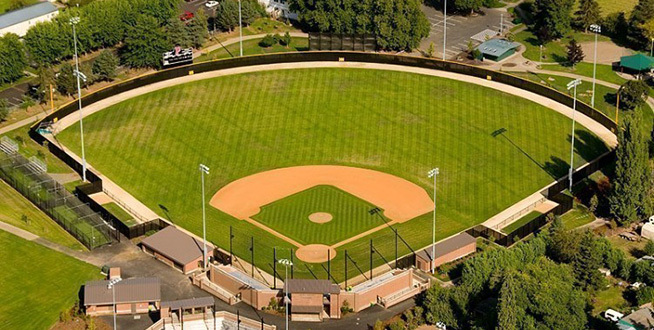 Cannery Field serves as a practice facility, as well as a spot for JV and intramural competitions for Pacific University students. 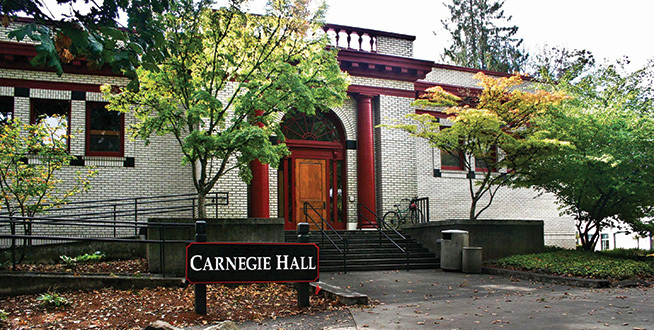 Built in 1912, Carnegie Hall was Pacific\'s original campus library - the only academic library west of the Mississippi funded by the Carnegie Foundation. Today, Carnegie is home to classrooms and faculty offices for the university, along with the Center for Gender Equity. 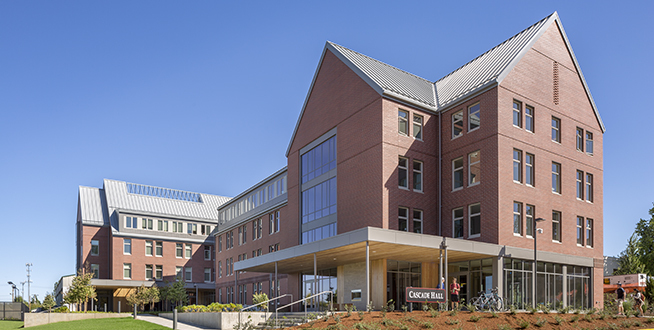 Opened in 2014, Cascade Hall is a residential building for incoming undergraduate students. The sustainable building houses up to 203 co-ed residents in double room, double suites, double deluxes and single rooms. Featuring natural light and warm tones, Cascade offers students several community lounges, recreation areas, study spaces and community kitchens, as well as on-site laundry facilities. The Kathrin Cawein Gallery of Art hosts rotating exhibits by artists from around the world, as well as by the occasional student, employee or alumnus. Admission to exhibits is free, and the gallery also often hosts an educational artist talk to accompany the current exhibit. 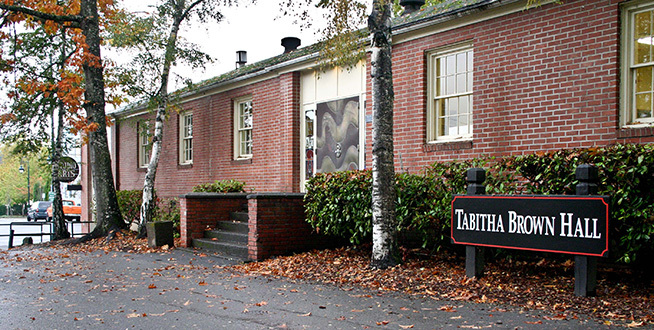 The gallery is named for the late Kathrin Cawein, an accomplished printmaker and supporter of Pacific University. Discover your future with the Pacific University Career Development Center, located in Chapman Hall. The CDC serves current students and alumni with internship and employment opportunities, as well as help preparing for graduate school. Chuck Bafaro Stadium at Bond Field is home to the Boxer baseball team. Part of the Lincoln Park Athletic Complex, the stadium opened in 2008 featuring a 500-seat grandstands, fully enclosed press box, and spacious dugouts. 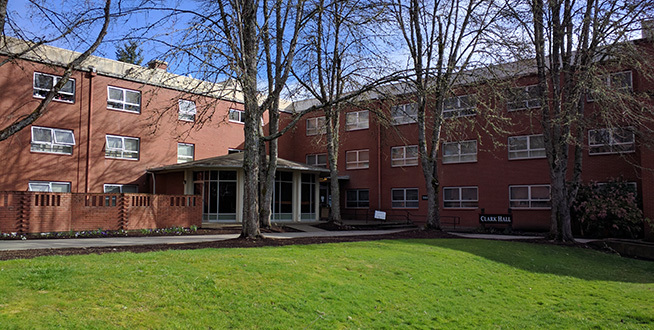 Constructed in 1966, Clark Hall is one of the historic residence halls on the Forest Grove Campus, named for pioneer and Pacific founder Harvey Clark. With single, double and quad rooms, along with community lounges and kitchen, Clark offers a traditional residence hall experience for freshman and sophmore students. 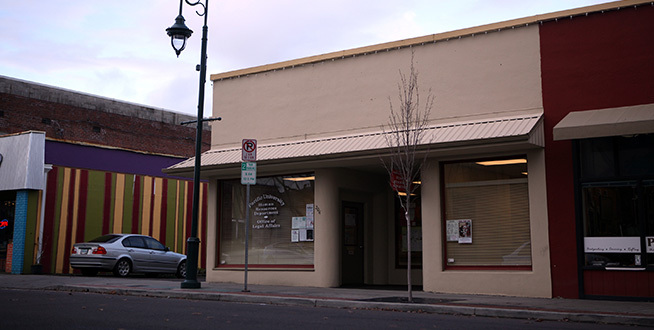 These attached storefronts on 21st Avenue are home to several Pacific University offices, including Human Resources, Legal Support, Conference & Event Support Services, and the Service Center. In the middle is the Milky Way, a gathering space and headquarters of Pacific\'s outdoor adventure program, Outdoor Pursuits. 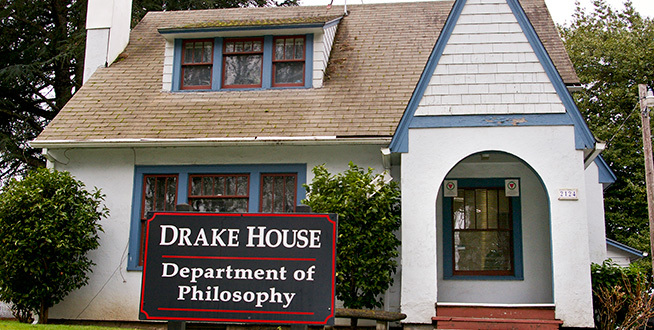 Drake House is a cozy home for the faculty offices for members of the Pacific University Philosophy Department. The Pacific University Early Learning Community is a demonstration school run by the College of Education. 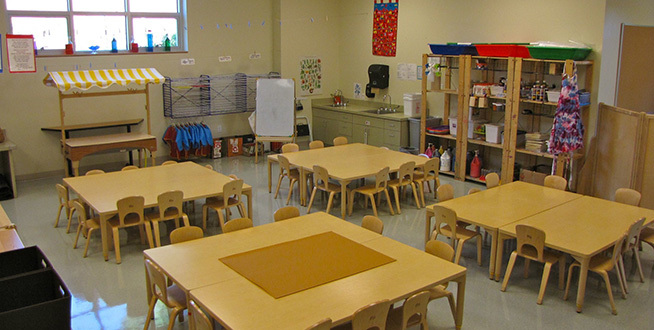 Offering high-quality play-based preschool through early elementary education for local children, the school also provides hands-on learning opportunities for students in Pacific\'s undergraduate and graduate teacher preparation programs. 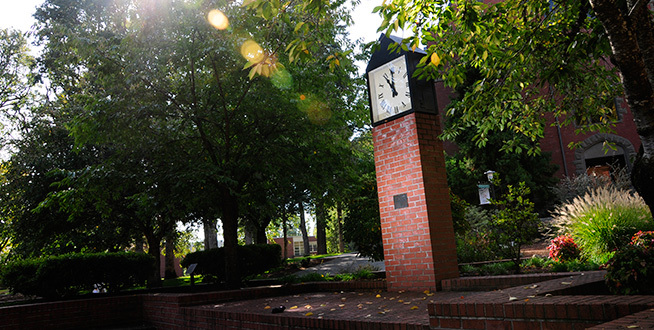 The Office of Facilities Management maintains the buildings and grounds for Pacific University\'s campuses. Offices are located on Sunset Drive. 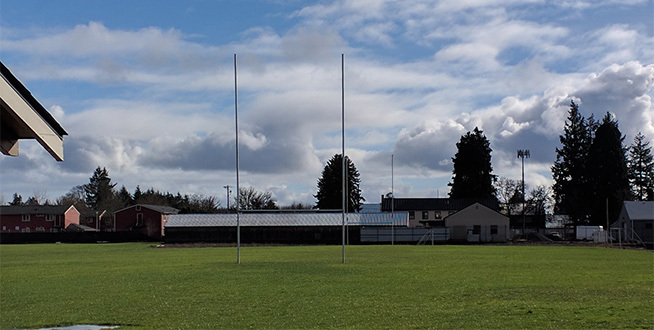 The City of Forest Grove partners with Pacific University, the Forest Grove Swim Club and the Forest Grove School District to provide an athletic and recreational facility for the community. The 25-yard pool can be configured for competitive events, water polo games and recreational swimming. 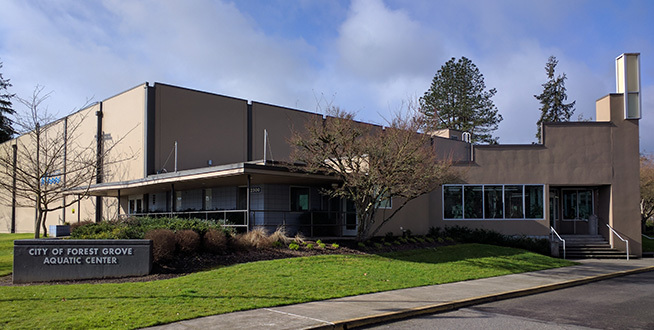 Pacific swim teams, the Forest Grove Swim Club and Forest Grove High School swim and water polo teams all call the Forest Grove Aquatic Center home, and Pacific students have free use of the facility during open swim and fitness swim hours. Gilbert Hall opened in 2009, named for Olympian and inventor A.C. Gilbert. Designed for students who have already completed a year on campus, Gilbert is a residence hall featuring four- and six-person apartments, as well as three- and four-person suites. Living quarters have double and single bedrooms, bathrooms and kitchens or kitchenettes, and the hall also features shared community spaces. Gilbert also features energy-efficient design and an indoor bike storage room. This building houses students that are 19 or older prior to the start of the Fall term or have fulfilled one year of the two-year residency requirement. Pacific is always full of life - even in the colder months. 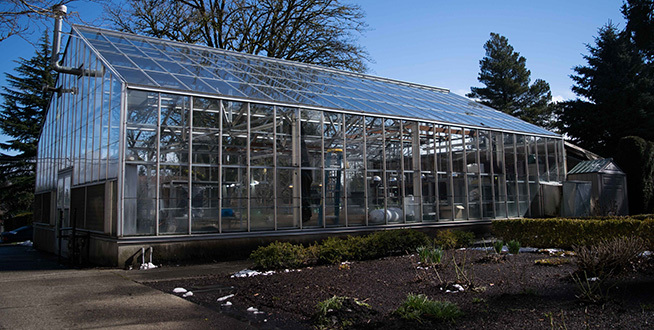 In the greenhouse, students cultivate their green thumbs with projects for biology, environmental science and more! Hagg Lake is home to the Pacific University women\'s rowing team. 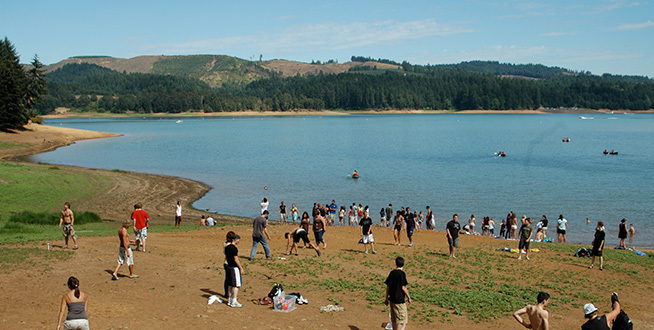 Scoggins Valley Park/Henry Hagg Lake is operated by Washington County, offering picnic areas, two boat launch facilities, a fully-stocked lake for fishing, and more than 13 miles of hiking and mountain biking trails. In 2015, Pacific University opened a boathouse at the lake to support its then-new women\'s rowing team. The Hagg Lake Invitational Regatta takes place at Hagg Lake each spring. 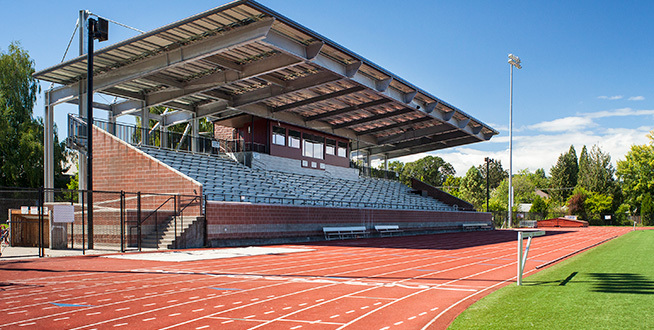 One of the top outdoor small college athletic facilities in the U.S., Hanson Stadium is home to the Boxers\' football, soccer, lacrosse, and track-and-field programs. Opened in September 2007, the 1,100-seat stadium was renamed Hanson Stadium in Summer 2014, when a new roof was built over the grandstands. The playing field features synthetic FieldTurf. The 400-meter oval track is one of just two nine-lane facilities in the Northwest. And the stadium is part of the greater Lincoln Park Athletic Facility, featuring baseball and softball diamonds, picnic areas, walking paths, and a playground. The Thomas J. Holce Tennis Courts opened in 2009, featuring six Plexipave hard courts. 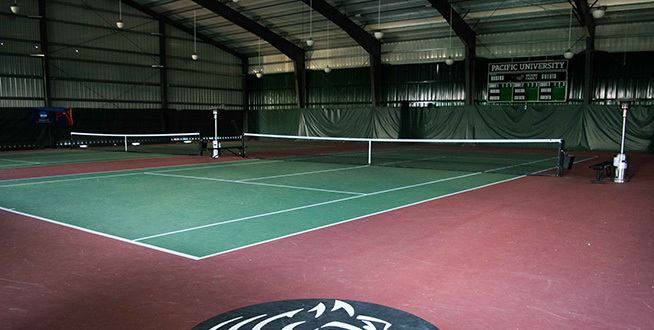 The lit facility includes three outdoor courts and three enclosed courts, for year-round practice and competition. Bleachers provide fan seating for each court, and the facility is open daily. 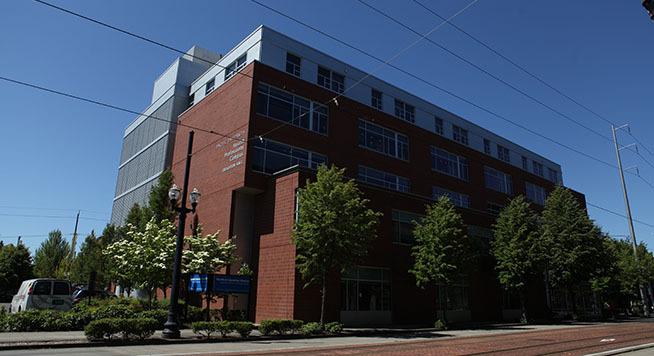 Jefferson Hall is home to the Pacific University College of Optometry. 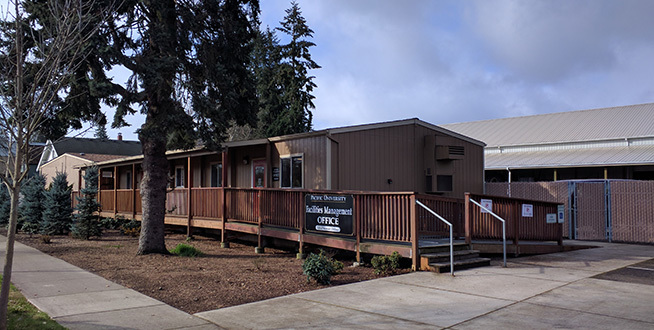 With classrooms, labs, faculty offices, and the Forest Grove Pacific EyeClinic, the building serves the classroom and clinical education of optometry students as well as the vision care needs of the community. The clinical facility received a renovation in 2016-2017. 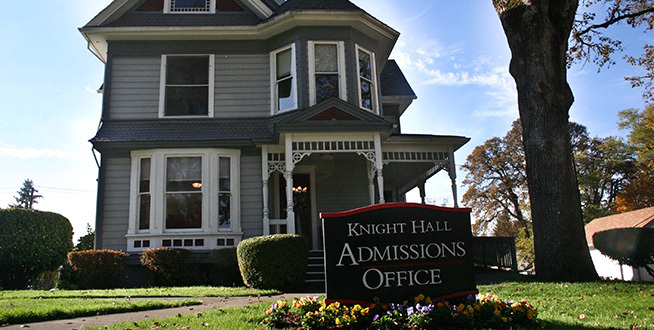 Knight Hall is the first stop for prospective undergraduates on the Pacific University Forest Grove Campus. Now the home of Undergraduate Admissions, Knight was built as a home for Pacific\'s first president, Sidney Harper Marsh, and has served as a residence hall, Music Department and fraternity house. Stop by for a cup of coffee, a chat with Admissions, and the chance to meet Vera, the resident ghost. 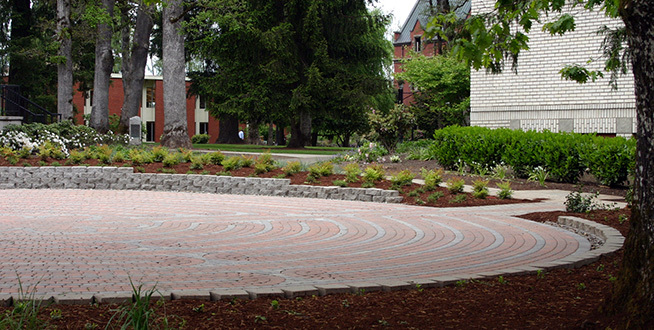 Walk your cares away by following the winding stone path of The Labyrinth, located in a small courtyard next to Old College Hall and dedicated to Faith Gabelnick, who was Pacific\'s president from 1995 to 2003. 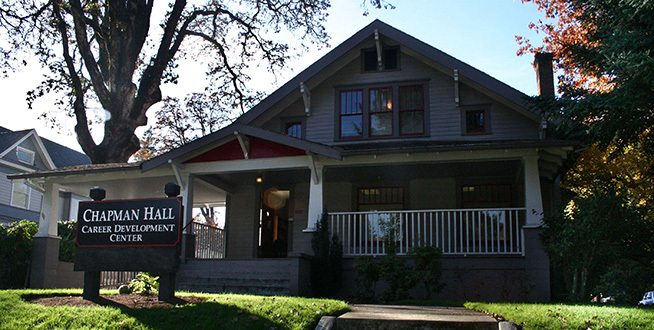 Built in 1895, Marsh Hall was named for Pacific\'s first president, Sidney Harper Marsh. It was gutted by a fire in 1975 but carefully restored to be home to administrative offices, faculty offices and classrooms today. Fondly known as "Mac," McCormick Hall is a residential building, primarily for incoming undergraduate students. It was originally built in 1924 as a men\'s residence and was remodeled in 1987. Today, it offers single, double and quad rooms, along with social and study area, a community kitchen, and laundry facilities - and a storied history shared by alumni. 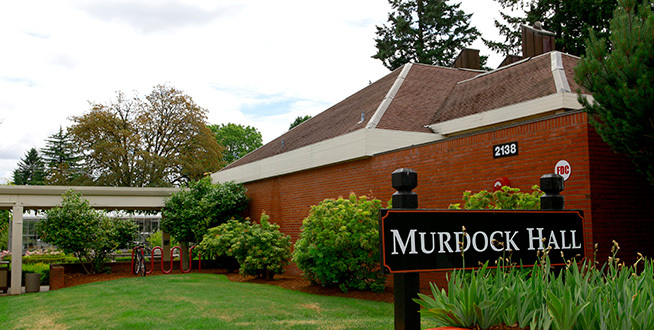 Murdock Hall houses the Chemistry Department at Pacific University, featuring classrooms, labs and the newly remodeled McGill Auditorium, named for Dr. Charles & Edith Hanson McGill, both class of 1930, and their family\'s longtime dedication to Pacific. 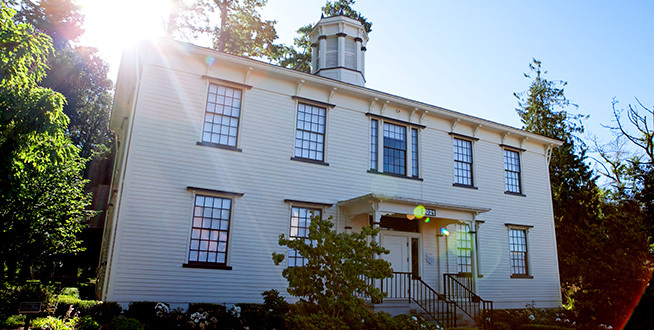 Old College Hall was Pacific University\'s first building, constructed in 1850. 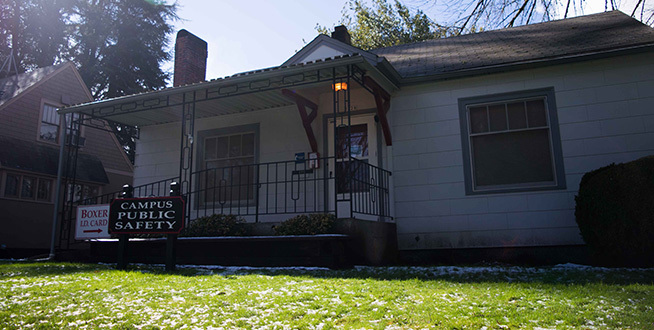 It has been moved to different locations on the Forest Grove Campus three times and now is home to a small chapel, gathering space, and the University\'s museum, open the first Wednesday of each month. 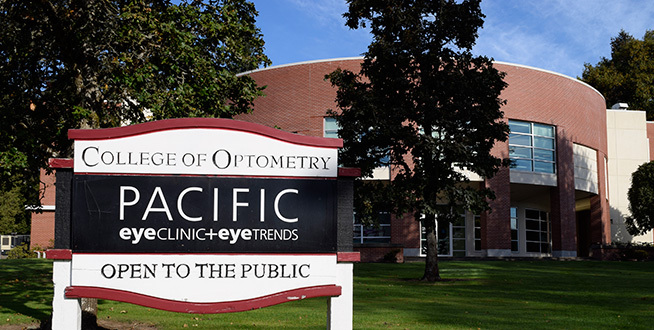 Just renovated, the Forest Grove Pacific EyeClinic is the first of six comprehensive vision care clinics operated by the Pacific University College of Optometry throughout the Portland area. Pacific EyeClinic offers affordable comprehensive vision care to patients, along with the Pacific EyeTrends glasses dispensary on site. 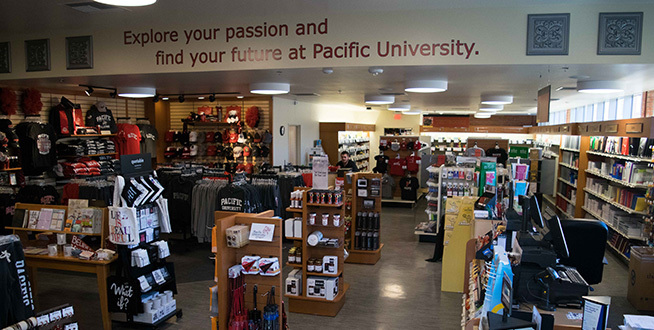 Operated by Barnes & Noble, the Pacific University Bookstore offers all the academic materials students need for classes at Pacific, along with Boxer gear, school supplies and a variety of general interest books. Completed in Fall 2005, the Tim & Cathy Tran Library is a 49,000-square-foot facility that features a 24-hour study room, computer labs, self check-out system, and conference and study spaces. 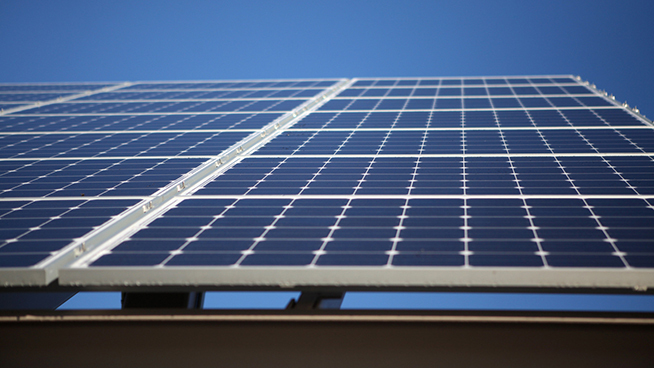 It was Pacific\'s first LEED-certified "green" building. 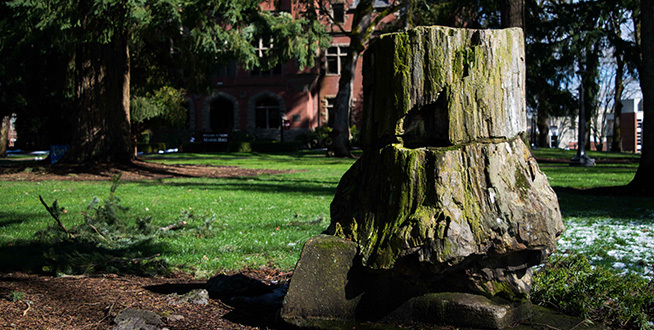 The Pacific University Class of 1867 set this petrified stump in place as a monument marketing the site of the 1848 log building that served as the first home of Tualatin Academy, the precursor to Pacific. 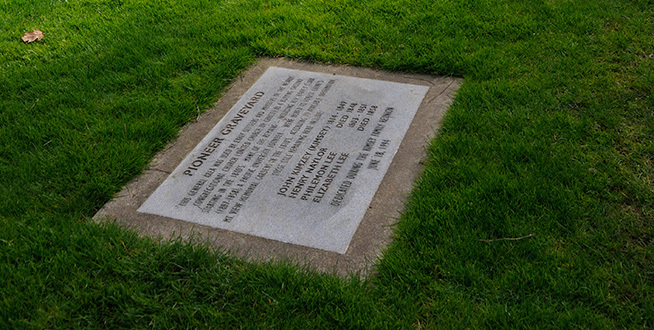 A small headstone marks the site of the pioneer cemetery on Pacific\'s west lawn. The early settlers of the area used the grounds as a burial ground in the 1940s. Many of the remains were moved in the 1870s, but at least four remain. Named for former faculty member Henry F. Price, Price Hall was original the home to Pacific\'s School of Physical Therapy, It opened in 1988 but was renovated in 2007 to add a second floor. Today it is home to the undergraduate Math Department, optometry ergonomic laboratories and a human cadaver lab. 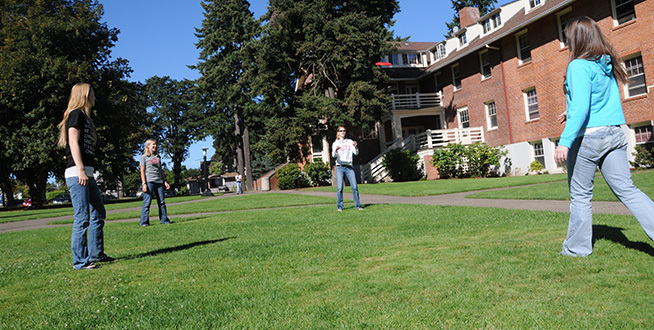 Toss around a Frisbee, or just lay out a blanket to study in the sun, on the Quad. The lawns between Walter and McCormick halls are the perfect place to relax on nice days or gather for special events. Plus, you can join in on the fun at the nearby beach volleyball pit, where the first nice days of spring always draw a crowd enjoying sand and music. 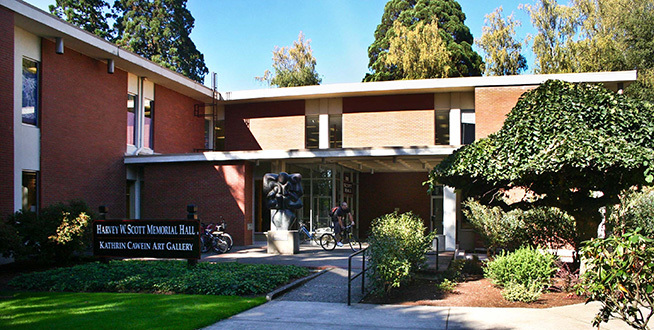 The Harvey W. Scott Memorial Library opened in 1967, named for Pacific\'s first graduate and early Oregonian editor. Today Scott Hall is home to student services and centers, offices, and study spaces, along with the Kathrine Cawein Gallery of Art. 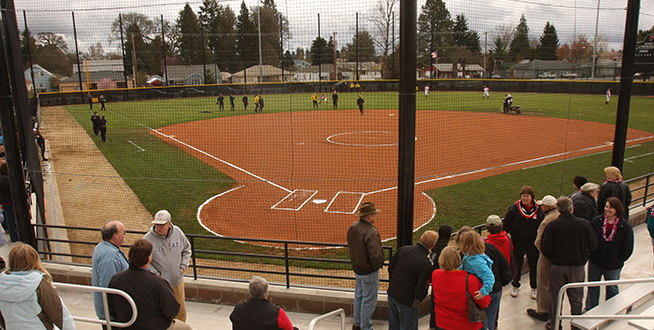 Sherman/Larkins Stadium is home to the Boxer softball team. Part of the Lincoln Park Athletic Complex, the stadium opened in 2008 featuring a 300-seat grandstand, and inning-by-inning scoreboard, enclosed press box, and enclosed bullpens and batting cage. The Spirit Bench (formerly the Senior bench) was donated by the class of 1908, though the original bench was damaged and replaced in 1990. 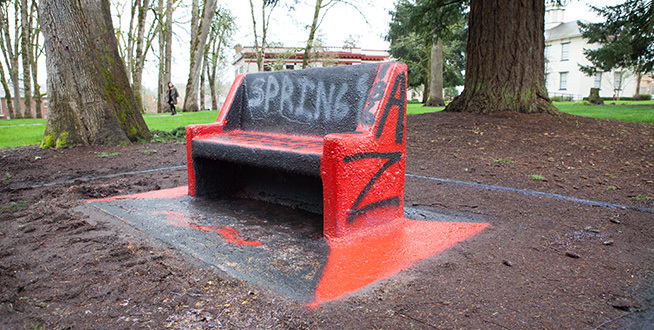 The painting of the bench developed as a tradition over the decades, and today students spray the bench, mostly by cover of darkness, to advertise clubs, upcoming events, or even birthdays. 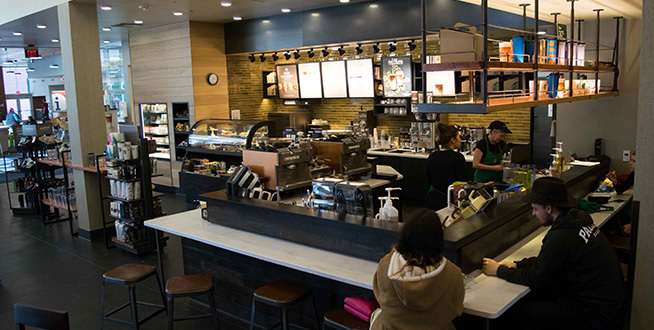 The only full-service Starbucks in Forest Grove is located within the Washburne University Center, offering beverages, food and a warm atmosphere for hanging out on campus. 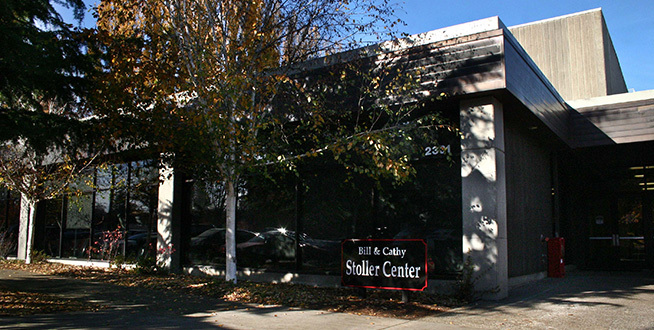 The Stoller Center is one of the largest small-college athletic facilities in the Northwest and is home to all of Pacific\'s intercollegiate athletic teams, athletic offices, and the academic Exercise Science Department. Students enjoy one of the premier indoor practice areas in the region, featuring FieldTurf, as well as gyms, weight rooms, locker rooms and team rooms, a weight and fitness center, and assorted classrooms. The Athletic Hall of Fame is also displayed inside. 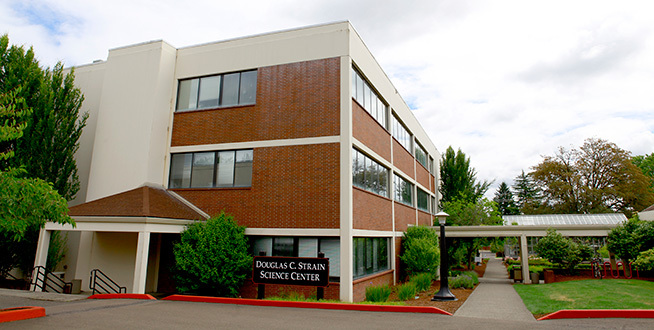 The Douglas C. Strain Science Center is home to the departments of physics, environmental science and biology at Pacific. It was built in 1993 and features a special exhibit about Mr. Strain and his accomplishments at the south entrance. 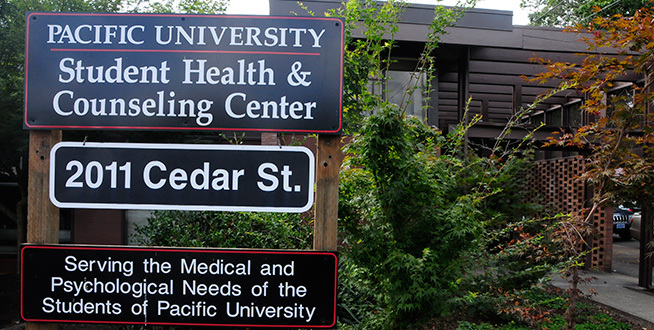 The Student Health Center and Student Counseling Center provide physical and mental health services to Pacific University students. Sunset House offers guest housing at Pacific University. 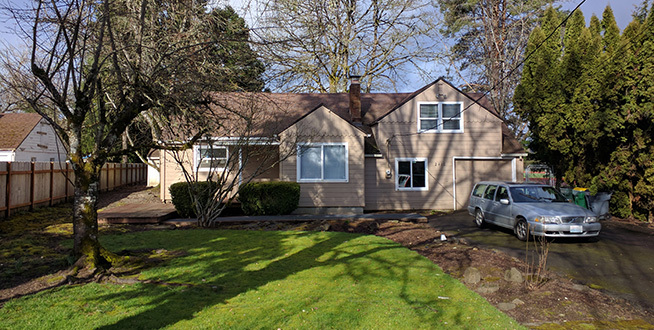 A quaint older home with four bedrooms, a full kitchen, and living and dining space, the house backs up to Hanson Stadium at Lincoln Park. The Taylor-Meade Performing Arts Center has been named one of the "25 Most Amazing University Performance Arts Centers" by BestValueSchools.com. Built in 1993, the building features the 400-seat McCready Hall auditorium, as well as a recital room, classrooms, practice rooms and faculty offices. Each year, Taylor-Meade is home to the Performing Arts Series, student and professional performances, and the longtime high school Music in May camp. Trombley Square is the center of campus and a popular meeting place for students, especially on sunny days. It was dedicated in honor of Charles Trombley, one of Pacific\'s most popular deans, in 1985, and in 1989, the Gamma Sigma Fraternity dedicated the clock in memory of long0time speech coach Hap Hingston. 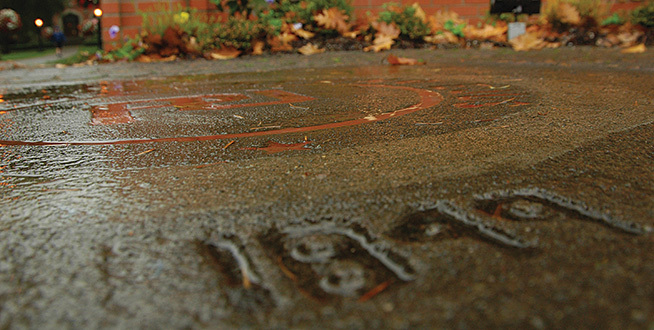 These university seals were originally stamped into the concrete near the entrance to Marsh Hall. During the renovation of the building after its 1975 fire, the seals were moved to the College Way entrance to the university. Out of respect for the university, tradition dictates that one does not step on the seals. The Vandervelden Court Apartments serve as home for third- and fourth-year undergraduates. 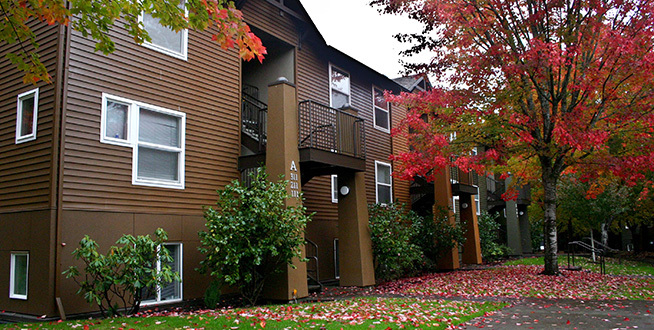 Named for Forest Grove businessman and philanthropist Joe Vandervelden \'37, the furnished apartments feature four bedrooms, two bathrooms, a kitchen and living area. The Greek Student Lounge also is located in Vandervelden, offering a gathering place for fraternity and sorority members. This complex houses students that are 20 years old or older prior to the start of the Fall term or have fulfilled two years of the two-year residency requirement. 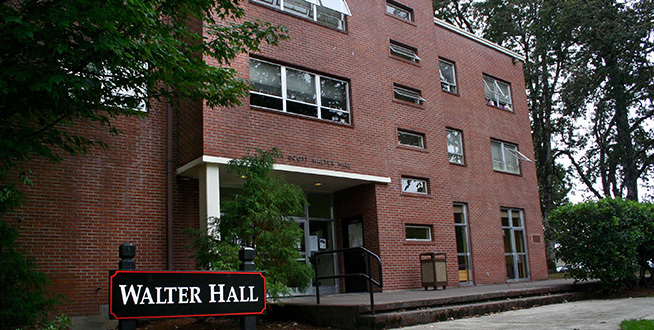 Walter Hall was originally a women\'s residence hall, named for the only daughter of Harvey Scott, Pacific\'s first graduate. Today, Walter is a co-ed residence hall, with single and double rooms, a community kitchen and lounges, and laundry facilities. It primarily serves first-year undergraduate students. 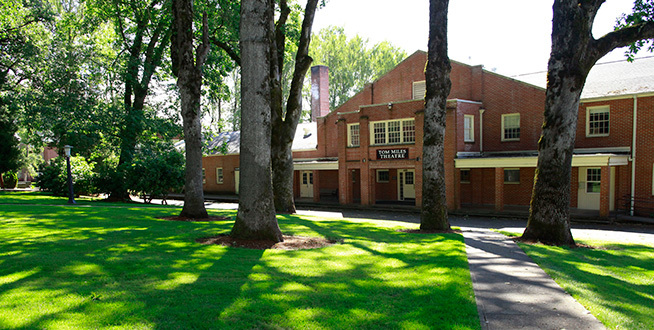 Warner Hall is home to the Theatre & Dance Department at Pacific and houses the small Tom Miles Theatre and a dance studio. The core of the building was originally located at Camp Adair, and World War II infantry camp near Corvallis, Ore. It was one of two buildings moved from the decommissioned camp in 1947, placed on a new foundation, and refaced with brick siding in 1950. Warner Hall is named for former trustee and benefactor Franklin Warner. 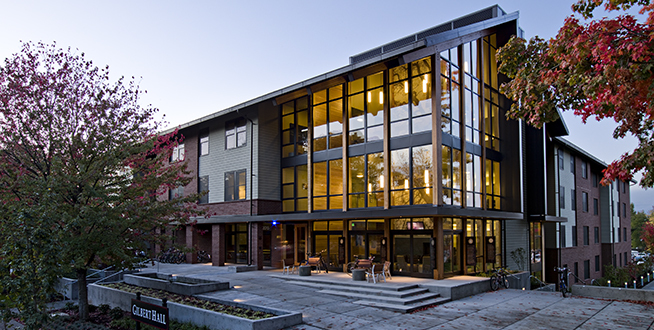 The Washburne Hall University Center, mostly known as the UC, is the hub of student life in Forest Grove. 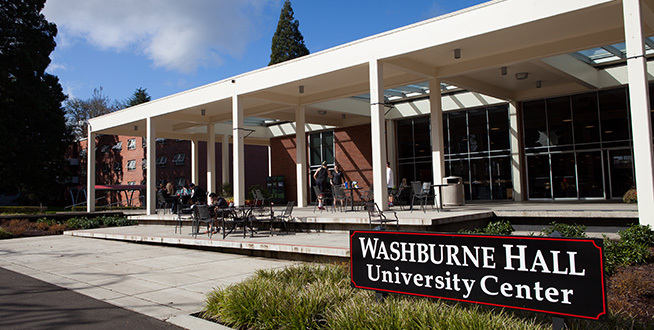 Named after Mr. and Mrs. Washburne of Eugene, who provided scholarship funds at Pacific, the UC is home to the dining hall, market, Starbucks and bookstore, along with the mail room, student life and government offices, and the KPUR Boxer radio station. The Multipurpose Room, or MPR, downstairs, as well as student lounge areas upstairs are the location of many student and community activities every week. 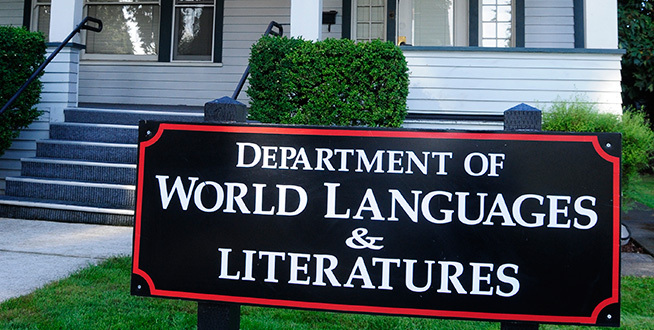 The World Languages Building is home to the Department of World Languages, an undergraduate department featuring programs in Chinese, French, Germany, Japanese and Spanish. 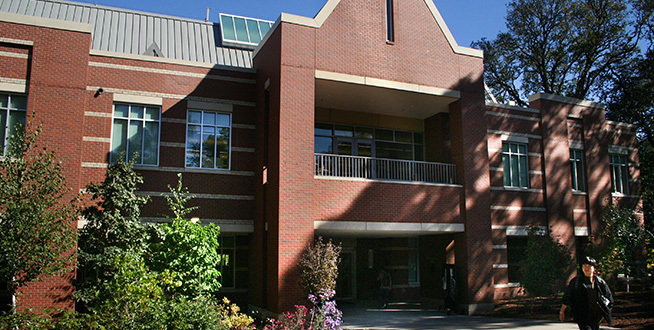 The Pacific University Eugene Campus opened in 1992 offering undergraduate and graduate programs in the College of Education. In 2014, the College of Arts & Sciences added a master of social work (MSW) program to the site. Situated in the heart of downtown Eugene, the campus is ideally located for students looking for an urban, but manageable, experience. The campus shares the block with Kesey Square, a public space used for gatherings, performances and public art. Pacific students, faculty and staff enjoy easy access to numerous restaurants, shops, coffee houses and craft breweries that line the downtown blocks. Eugene’s 5th Street Public Market is within easy walking distance, and Voodoo Doughnuts, Sizzle Pie Pizza and Starbucks are all within the block. 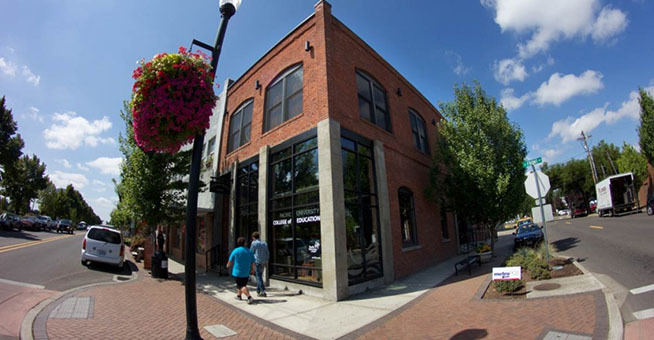 Eugene ranked ninth on Livability.com\'s Top 10 Best Downtowns in 2014. Entrepreneur Magazine named the city the top town in the country for Green Scenes: Where Capitalism Meets Eco-Consciousness. Eugene also has been designated a Gold Level Walk-Friendly Community by the Pedestrian and Bicycle Information Center. 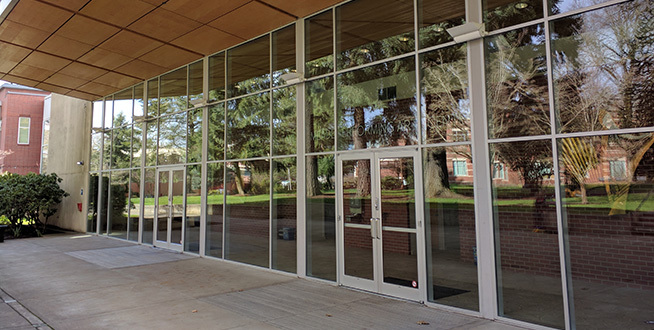 Located in one of the most diverse and fast-growing communities in Oregon, the Woodburn Campus, opened in 2012, offers professional pathways in education with a focus on STEM subjects (science, technology, engineering and mathematics) and teaching diverse students. The campus offers two degree programs in the College of Education. Pacific University is a diverse learning community offering a unique combination of undergraduate, graduate and professional programs in the liberal arts and sciences, education, business, optometry, and the health professions. The school was founded in Forest Grove in 1849 by Congregationalist pioneers. Originally the Tualatin Academy, it became Pacific University in 1854 and conferred its first baccalaureate degree in 1863. 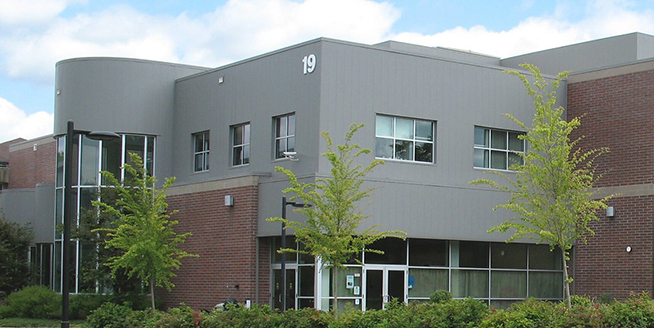 The Hillsboro Campus is a vibrant home for many of Pacific’s graduate and professional programs. 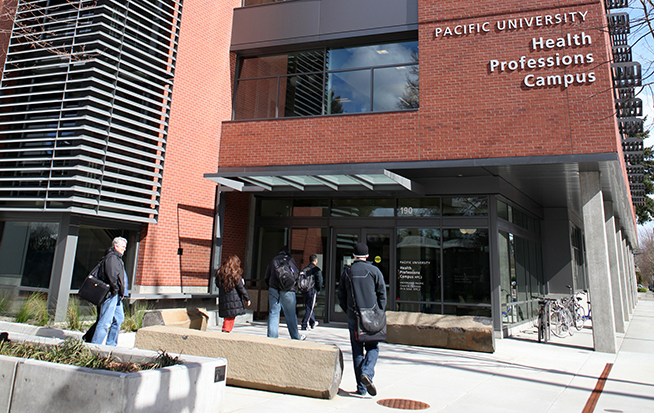 Founded as the home of Pacific University\'s College of Health Professions, the campus also offers graduate programs in the College of Business. The fifth-largest city in Oregon, Hillsboro is an energetic suburb of Portland and home to the state’s burgeoning high-tech industry. 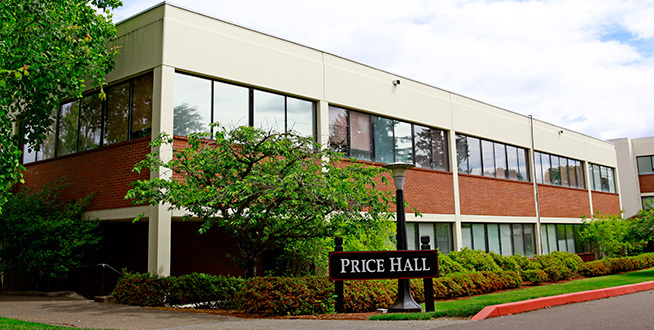 The Pacific University Hillsboro Campus is ideally situated in the heart of downtown Hillsboro’s Health and Education District, creating strong partnerships with businesses and local leaders in healthcare and education. Its location right along the MAX light-rail line also makes the campus an easy commute for graduate and professional students throughout the Portland area. The campus includes two LEED-certified buildings, constructed in 2006 and 2010, featuring state-of-the-art classroom spaces, labs, clinics and student areas. Pacific also has office and high-tech classroom spaces in the award-winning Intermodal Transit Facility adjacent to campus.